You may have heard of March madness. The month where brands pull off interesting PR stunts to attract publicity and highlight some worthy causes. So last month we saw Virgin Trains on the hunt for a voice for its toilets, two teenage synchronised swimmers performed a routine in a pool of floating plastic, and an Argentinian car insurance company went to great lengths to ensure drivers were safe at night. Let’s start with the topical issue of plastic pollution. The oceans are under serious threat from plastic waste with eight million tonnes being dumped into them every year. To highlight the consequences for marine life, two British synchronised swimmers were set a challenge: to perform their World Championship routine in a swimming pool full of plastic.The watery stunt mimicked the ‘slicks’ of litter which fish are forced to battle through in the world’s oceans. Unsurprisingly, the swimmers, Kate Shortman and Isabelle Thorpe, struggled to perform their usually flawless routine in a training pool littered with thousands of items of floating plastic including plastic drinking bottles, toiletries, plastic bags and food containers. The challenge formed part of the Big Bang UK Young Scientists and Engineers Fair in Birmingham, which challenges young people to use their scientific and engineering skills to address environmental issues. And the striking pictures struck a chord. The watery stunt was covered by lots of media outlets, including the BBC and ITN. Not only did this PR stunt generate tons of positive publicity for the fair, it drew further attention to this ongoing environmental problem. If you’ve been on a Virgin train, you may well have encountered one of their talking toilets. As you close the door, you’re greeted with a pre-recorded message saying, ‘please don’t flush nappies, sanitary towels, paper towels, gum, old phones, unpaid bills, junk mail, your ex’s sweater, hopes, dreams or goldfish down this toilet.’ The British train company introduced talking toilets several years ago in an attempt to stop people flushing inappropriate items down the loo, as it causes delays and puts trains out of service. Last month, the company launched a competition to find a new ‘voice of the toilet’. Assisting in the search was British soap star Dean Gaffney, who lent his expertise to the audition process in the form of Gaffbot, an automated system in which Dean guided hopefuls through a warm-up and helped them deliver the perfect audition. 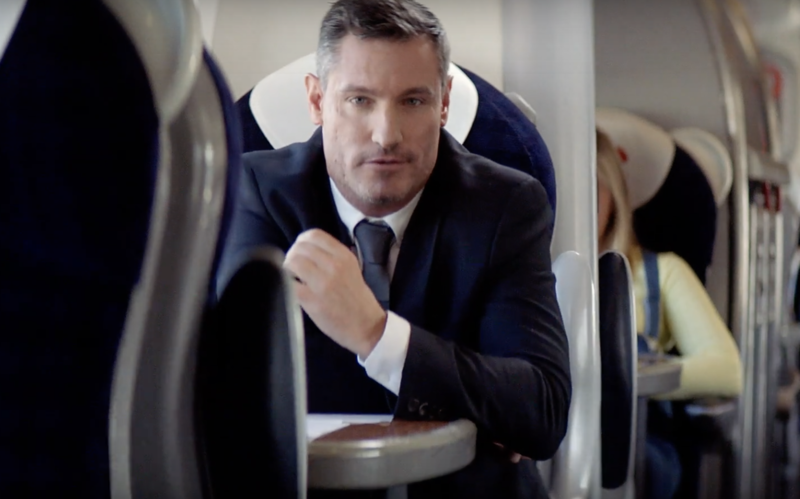 The winners’ vocals will be heard on Virgin Trains services across the West Coast route, giving them an audience of more than 38 million passengers a year. This was no ‘bog’-standard campaign. It attracted plenty of media attention, as it offered a unique, money-can’t-buy experience. It was a clever way to incorporate consumers into the brand. And it cost Virgin next to nothing. Car insurance companies like to say they help protect motorists, but drivers usually only see the benefits after they’ve been in an accident. But one Argentinian insurer took a proactive approach to road safety last month. La Caja, a leading car insurance company in Argentina, launched a clever campaign that communicated an important message while potentially saving lives. The brand worked with Argentina’s National Road Safety Organisation to identify some of the country’s most dangerous curves on the roads and placed billboards at each spot to illuminate each treacherous turn. By day the posters read ‘seeing this curve is more important than seeing our poster’. By night, the light pointed at the unsafe roads to help drivers spot potential danger. This was a simple but inspired campaign. Not only did it win La Caja kudos from consumers and publicity from the Argentinian media, but the billboards made a real difference to the safety of road users. Highlighting an important cause like plastic pollution or dangerous driving is a great way to make a statement on issues that you care about. Show consumers what your brand stands for and it could generate you lots of publicity. To talk through your ideas, get in touch.